How does a museum with a collection of 35,000 artifacts operate with no permanent exhibition space and no staff? 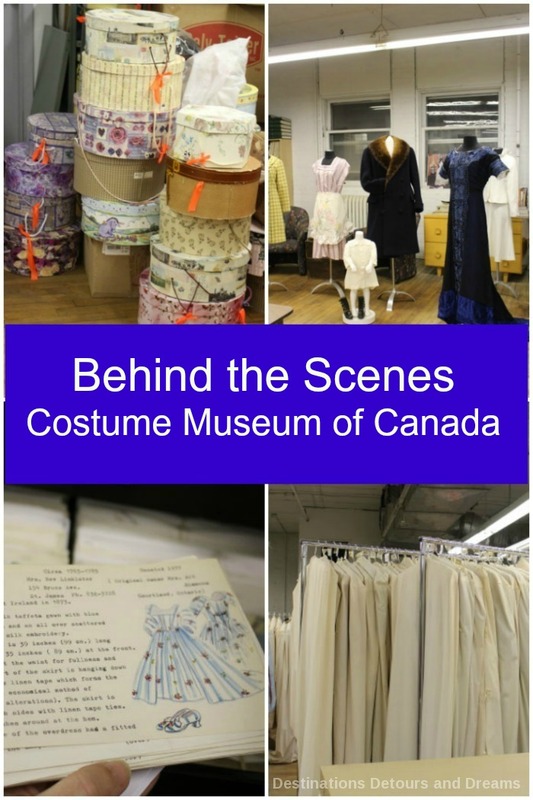 I find out with a behind the scenes look at the Costume Museum of Canada. Margaret meets me at the front door of a heritage building in Winnipeg’s Exchange District. I follow her up the stairs to the third floor. We pass through a small foyer containing a few displays into a large room, which is the Museum’s working space. In spite of high ceilings, fluorescent lights, and windows along one wall, this room with its weathered wood floors feels almost like your grandmother’s attic, full of treasures to be discovered. Old suitcases and trunks sit in one corner. Shelves hold stacks of hat boxes. Filing cabinets line one wall. 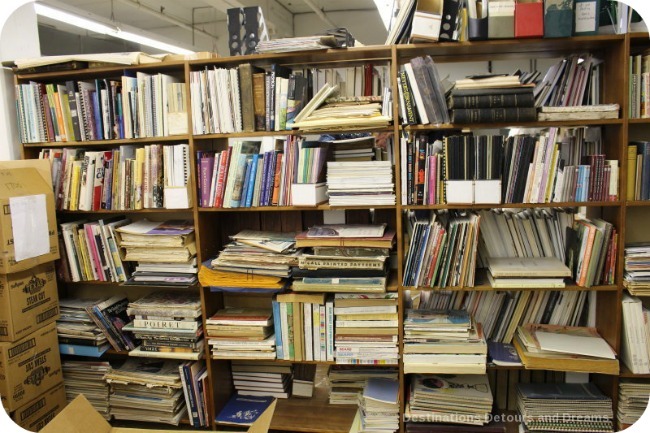 A large bookshelf dividing part of the space contains a library of fashion-related books and magazines. Clothing encased in off-white garment protectors hangs from a series of portable racks. Sewing mannequins in one corner sport a collection of vintage costumes, a display created from the Museum’s most recent donation. Margaret is one of the over 100 volunteers who keep the Museum running and a member of the board. She introduces me to the other volunteers working this evening. Heather and Rhonda sort and organize shoes. 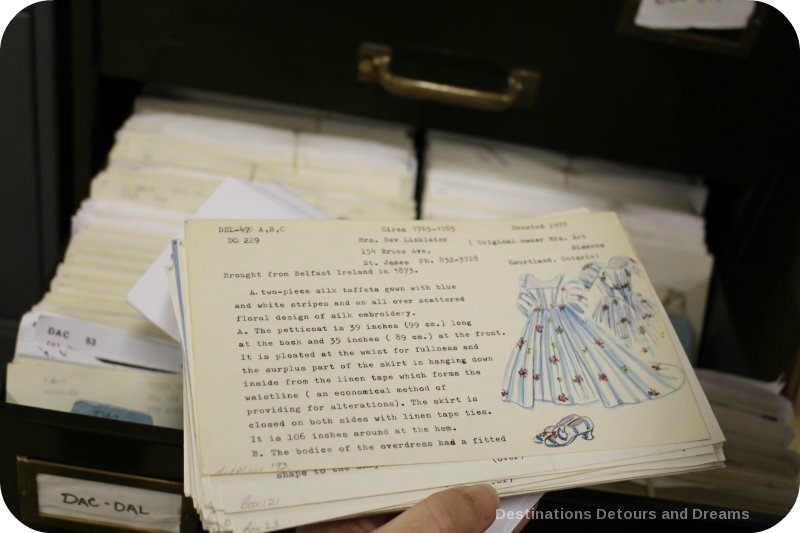 Phyllis, the Museum’s volunteer coordinator, photographs old sewing patterns as part of a cataloging process. Brenda sorts through a collection of donated buttons. The Costume Museum of Canada began in Dugald, Manitoba with the work of the Women’s Institute, which started holding fashion shows in 1953. They opened a museum in 1983. In 2007, the Museum relocated to Winnipeg. In 2010, it closed its permanent space and became the museum which “comes to the people.” It now makes it collection available to the public in Pop-Up exhibits. 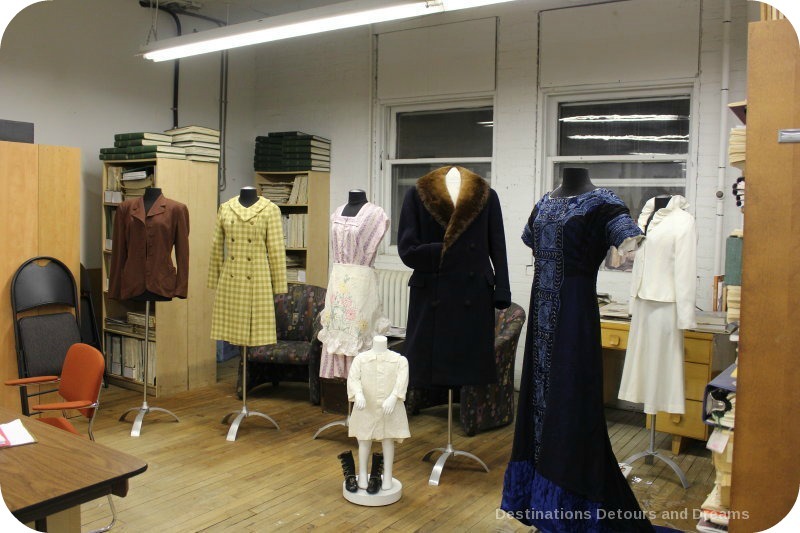 The Museum is dedicated to preserving and exhibiting the costumes worn by the people of Canada over the decades. 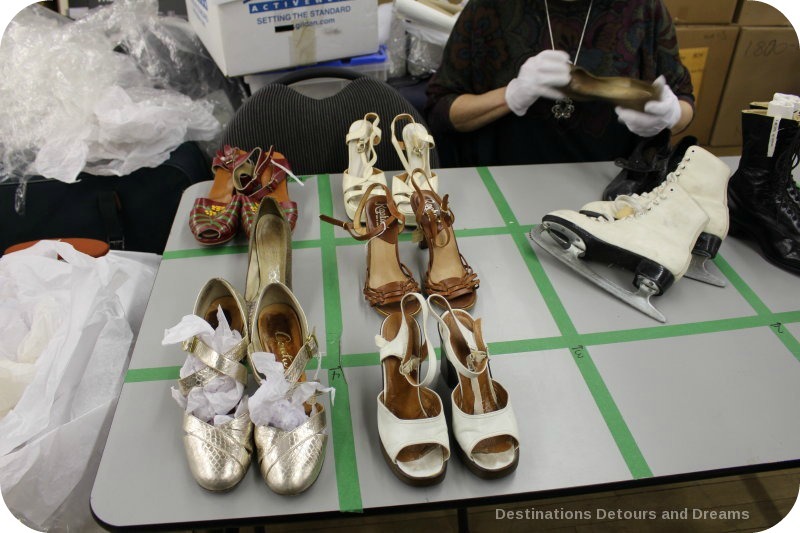 Its collection, which includes clothing, jewelry, shoes, handbags, and other accessories, reflects the identity and social history of Canada. The Museum also has educational programs for use in schools. The Heritage Fashion Review and the Hat Show are programs which can be booked as entertainment for a variety of audiences. Some articles of clothing are interesting because they illuminate the history of an era. In October 2016, I visited pop-up exhibit Weddings: An Invitation to the Past. A wedding dress from the 1940s World War II era was made with Red Cross bandages. Styles of other wedding dresses from the early 1940s reflected the need to conserve fabric. Other articles of clothing are special because of who owned them. For example, the collection contains Muriel Richardson’s wedding dress from 1919. Muriel Richardson was the first female CEO of a large Canadian company. 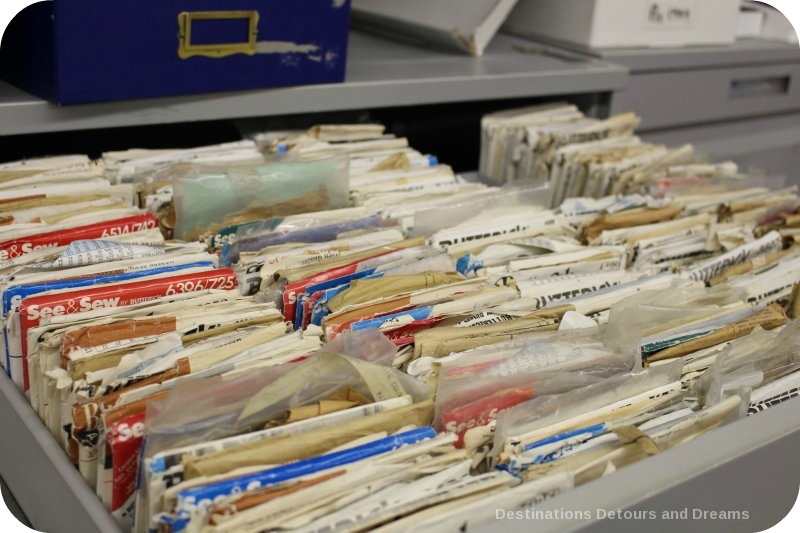 Filing cabinets hold index cards with details of the collection. Some of the early cards are as interesting as the item they describe. Detailed hand-drawn sketches illustrate the particular article described on the card. 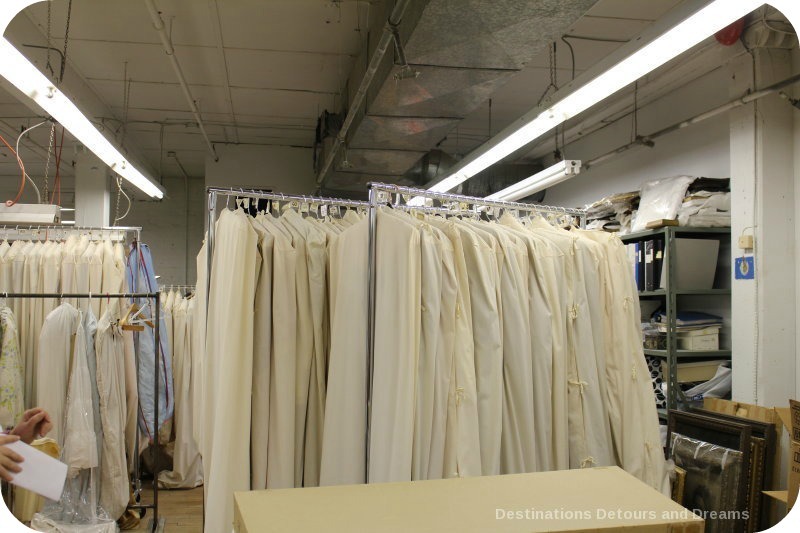 The garments on the portable clothing racks are replicas of vintage costumes in the Museum’s collection. 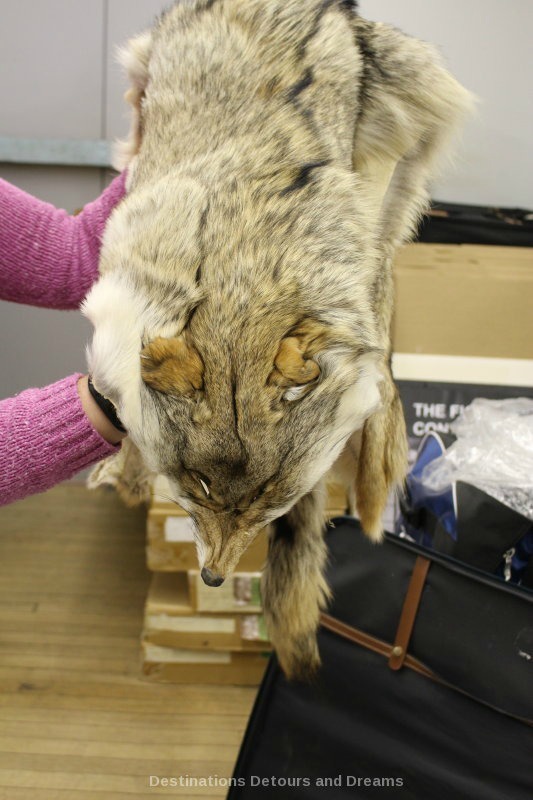 (The rest of the Museum’s collection is stored in a warehouse in another location.) Volunteer models (Phyllis, who tonight is working with sewing patterns, is one of the models) wear the replicas during Heritage Fashion Shows. 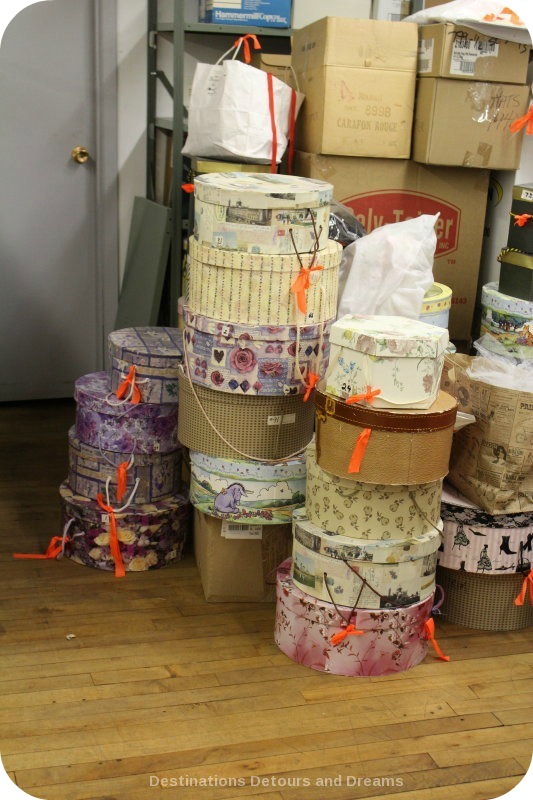 Hat boxes contain hats worn by models during Hat Shows. Models are accompanied by commentary about the articles and information about the social context of the styles. I ask about the blue soft-sided “Museum in a Suitcase” bags. 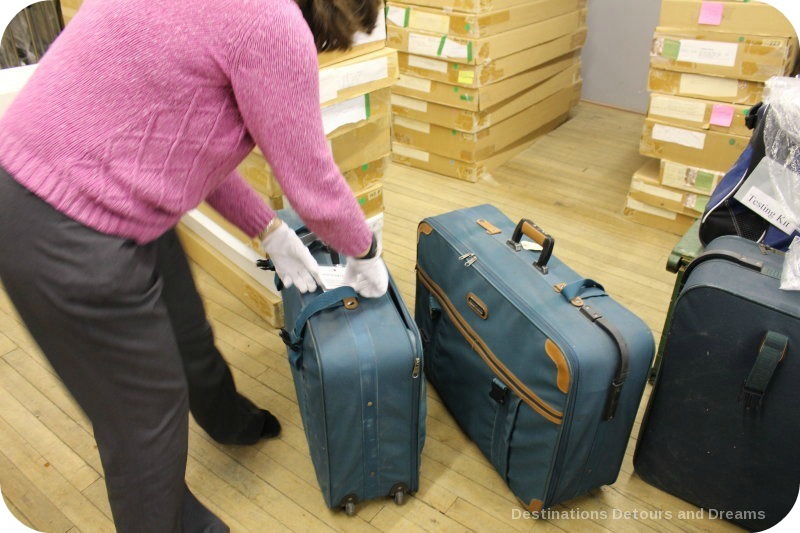 The suitcases contain materials which focus on aspects of textiles and clothing history. They are designed for a hands-on, interactive educational experience in the schools and can be used at a variety of levels, from primary through secondary. Margaret opens a couple of suitcases to show me the contents. The first suitcase she opens contains a variety of items relating to laundering of clothing. 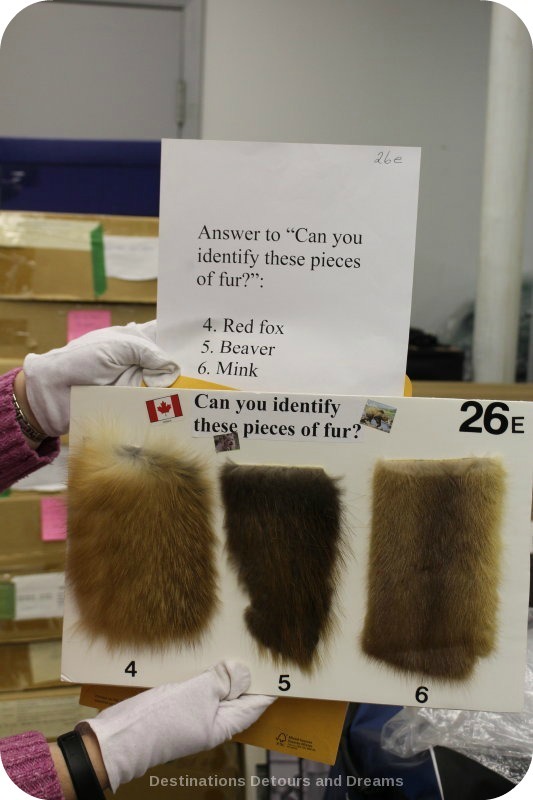 The second one is for the “Fur: The Fabric of a Nation” program, designed for students in grades five through ten to promote knowledge and discussion of the fur trade in Canada. 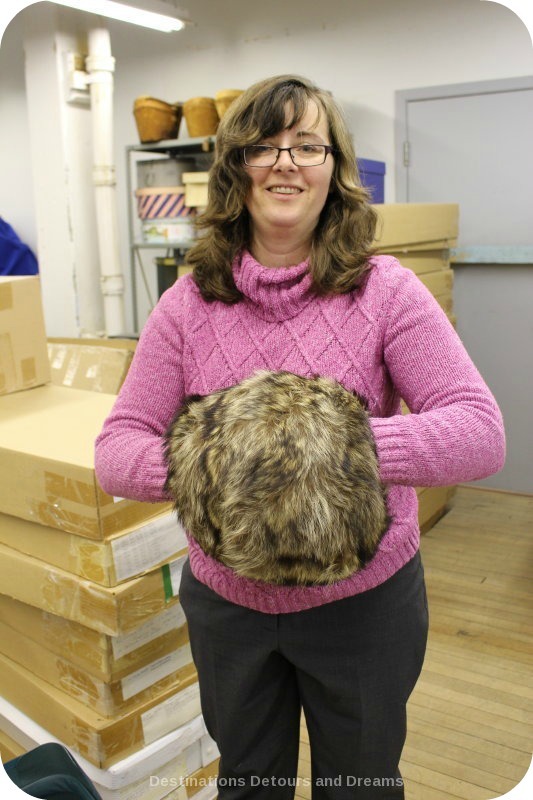 At one time this fur stole, complete with head, would have been very fashionable. I think it would get a few double-takes today (and maybe some outbursts from animal rights activities). A selection of costumes, recently acquired due to the closure of a small town museum, are displayed for me in one corner of the room. 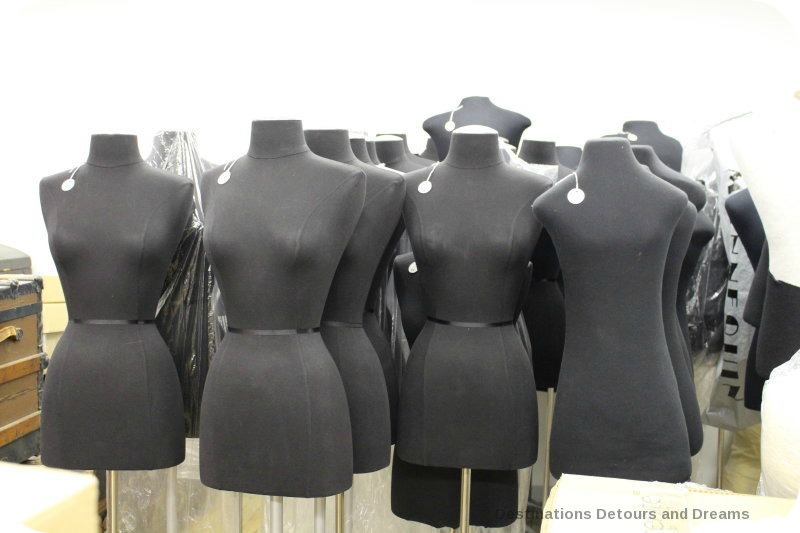 The sewing mannequins are what are typically used to display costumes in Pop-Up exhibits. 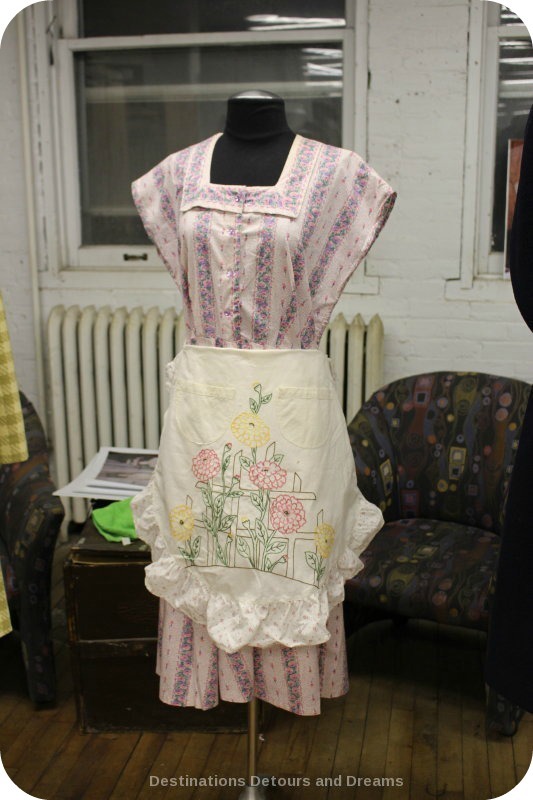 The house dress and apron are particularly prized items, not necessarily because of their vintage or who originally wore them. It is because everyday working clothing is rare in the Museum’s collection. These garments were worn so much they wound up in the trash or as rags. They are not the garments stored in trunks and passed on. I ask how the Museum prepares for a Pop-Up exhibit. Preparation begins a month or more in advance with the choice of a theme. Once a theme is chosen, the Museum needs to find funding to pay exhibit costs. 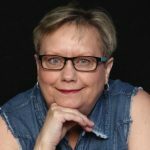 In the past, they have been fortunate to receive a number of grants from the Winnipeg Foundation. A volunteer coordinator is selected. The coordinator works with the volunteers to choose the pieces to be featured. 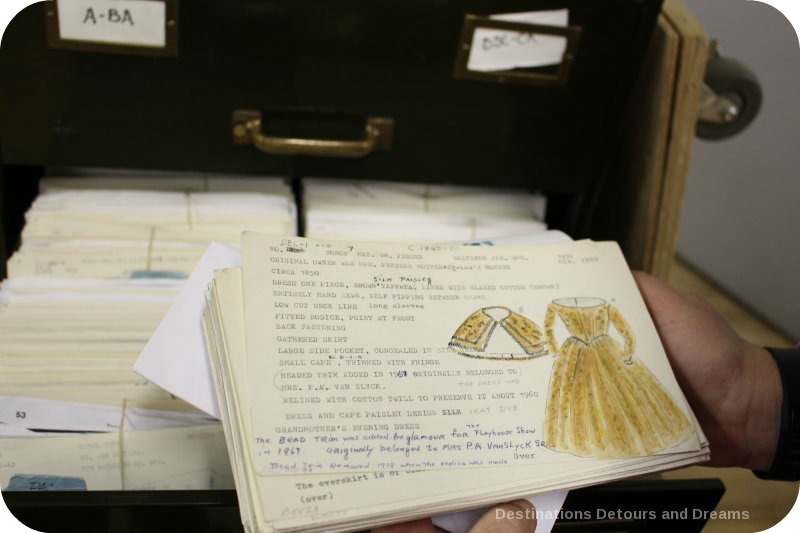 The garments are taken out of storage, where they have been packed in acid-free tissue paper and stored in archival boxes, and placed on mannequins the volunteers call Judys and Jims. The garments are steamed and set-up in the exhibit space. Volunteers act as tour guides. Canada150: Costumes and Wedding Dress View Into the Past are two examples of Pop-Up Exhibits staged by the Costume Museum. 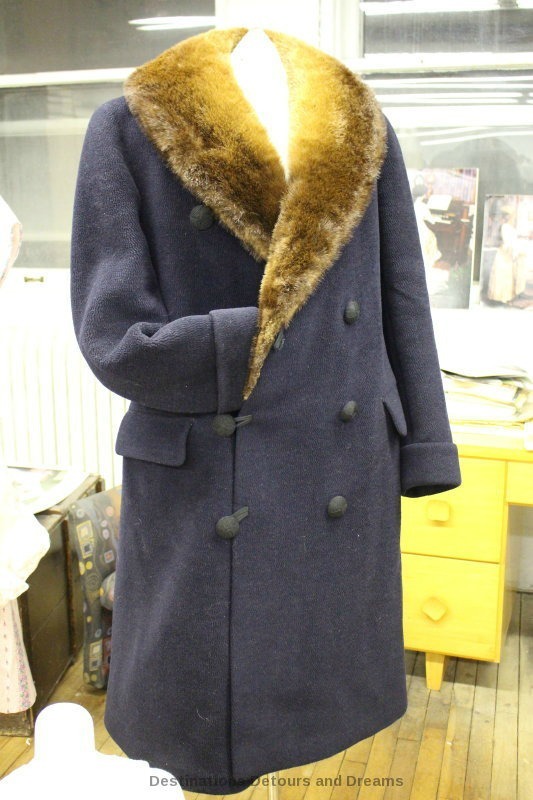 For more information about the Museum, upcoming exhibits and contact information for volunteering or booking your own Fashion or Hat Show, see the Costume Museum of Canada website. Pretty interested in the whole idea of a museum without an address. I guess in some ways it makes the exhibits seem fresher. Maybe they can go on the road and bring their costumes to other parts of Canada. 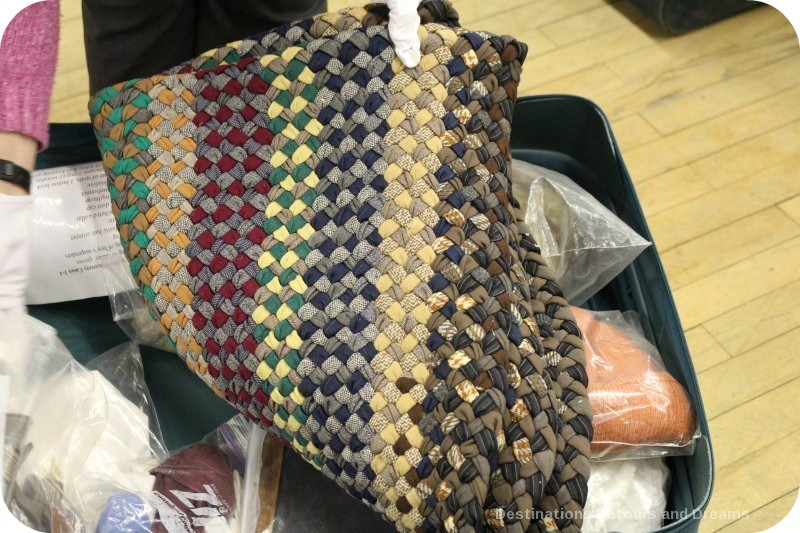 It makes me sad to learn that most of the museum’s marvellous collection is in storage. I used to live near Dugald, and visited the Costume Mueum in its magnificent home many times. I’m sure it was a political situation that made them move the facility to Winnipeg, thinking that the larger population would gravitate to the exhibits. But it didn’t work. Probably moving it to Brandon might have worked better, as it is a larger population with rural roots. Doreen, I visited the Museum many times in Dugald too. Also when it moved to Winnipeg. I believe the move to Winnipeg was to make it more accessible, but financial constraints forced it out of its exhibition space. It’s hard to say whether the financial constraints would have lessened in a different location or brought in other funding. Ken, it means they can focus on a different theme in each pop-up, but it also means a lot of their collection spends much of its life in storage and not being seen. That is such an interesting view of a museum behind the scenes, away from its occasional forays into actual exhibitions. Thanks for a view of this arrangement and the wealth of artifacts in storage. How interesting and how fun. I would truly enjoying seeing this. Thanks do sharing. Susan, I’ve enjoyed the exhibits I’ve seen and it was extra cool to go behind the scenes and talk with the volunteers. But I think you mean these pop up exhibitions only happen within Winnipeg? 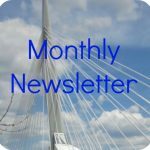 Linda, the exhibits and events are generally in the Winnipeg and surrounding area. It would be cool to take an exhibit on the road. It would take more organizing and funding to arrange venues and travel, but it certainly would be fun for the towns visited. That’s a great idea, taking the exhibits to the people. Lots more people will be able to see the collection that way, and it does look like a fascinating array of items. Karen, the Heritage Fashion Review and the Hat Show events are fun events to get to the people in different ways. The pop-up exhibits, however, only allow for a fraction of the collection to be displayed. A good reason to return to future pop-ups of a different theme. 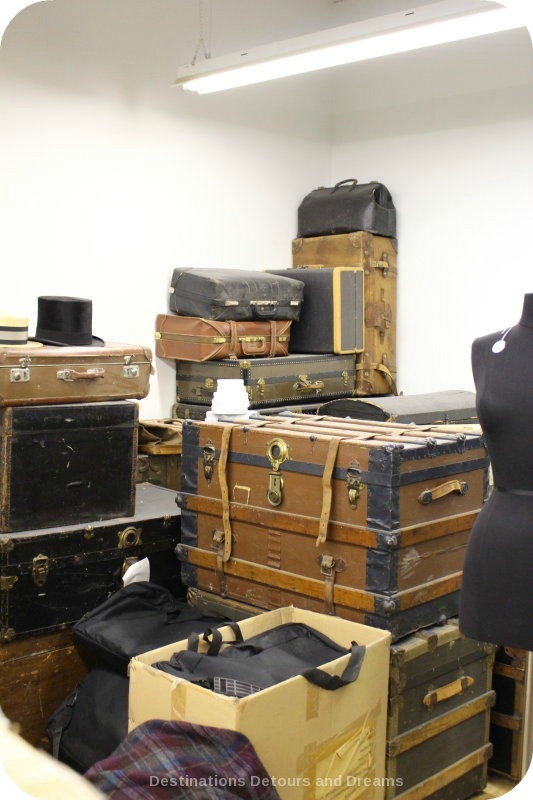 My favourite is the trunks and old luggage even if they are secondary to the main collection. Lyn, I am drawn to old trunks and luggage and feel compelled to photograph anytime I come across some, although I cannot imagine travelling with these clunky, awkward pieces today. You made a fantastic discovery! Anyone interested in history or clothing would love this museum! Hats off to the volunteers who keep it organized and running. Thanks Marilyn. I am impressed with the volunteers, who clearly love what the museum is doing. 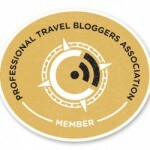 Donna, thanks for your article and lovely photos. I hope people will come to know about us, even if they had not heard of us before. As the Fashion Review co-ordinator and Hat Show presenter, I can tell you that being a volunteer “hands on” Board Member is a great deal of work, but with the others who volunteer, I feel that such a fabulous collection needs to be preserved, even if we do not get regular government money. We have had to be very creative, and we still struggle, since even a workspace requires regular infusions of cash and of course lots of volunteers. I urge anyone who is interested to make a point of coming to see our exhibits and helping us preserve the past for the future of all of us. Margaret, I and others should be thanking you and the other volunteers. I too urge people to go see the exhibits. They are a wonderful glimpse into the past. 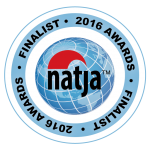 What an amazing place – it surely deserves at least a little permanent exhibition space somewhere! So many things are thrown out, considered ‘out of fashion’ or simply outgrown. Yet many years later people come to appreciate the ‘good old quality’ or simply need to recreate the typical style of particular period – places like this are such a great resource. Juergen, it is a great resource. I particularly like how they use the clothing to highlight the social history of the time period. Anita, I’d hadn’t thought about how special the everyday house dresses were until Margaret told me how rare it was to have one donated. Like you say, many made it to the “rag bag”. I’m looking forward to attending the next pop-up exhibit next week. What a wonderful museum and I love the idea of it traveling to schools and popping up here and there. I hope that they continue to receive grants so that the work can go on. I would find it a treat to visit! Rose Mary, the school program is pretty cool! I was totally surprised to hear about some of your exhibits on display at Dalnavert this weekend. I have many happy memories of taking my mom out to Dugald to enjoy the wonderful Costume Museum. We both loved walking through the displays and stopping to have a bite in your tea room. It sparked many conversations and over the years I have missed it. I honestly didn’t know that you still existed. Although we don’t hear much about you now; I am glad to find out that you are still here. 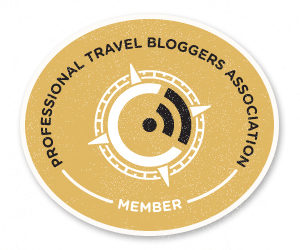 Sonia, the Museum has a mailing list if you’d like to be notified about upcoming exhibits. Check their website. Michele, I also thought the Red Cross bandage dress was creative.